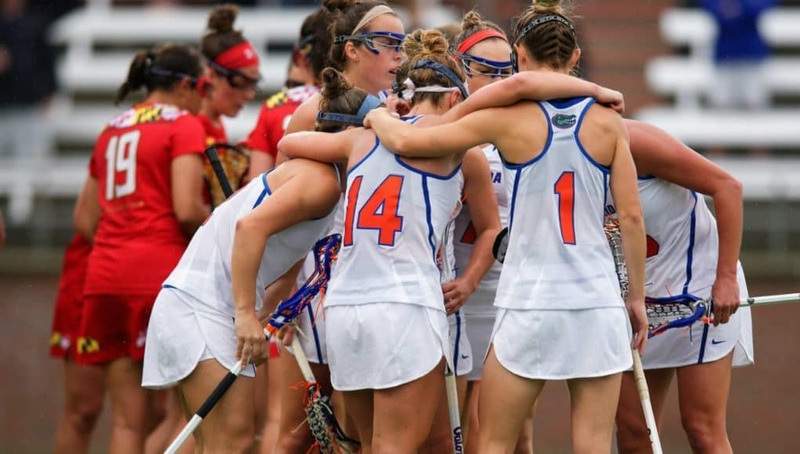 GAINESVILLE, Fla. – The Florida Gators’ lacrosse team was tabbed to win the American Athletic Conference championship in the 2019 Preseason Coaches’ Poll, as announced on Thursday afternoon. The league is in its inaugural season of women’s lacrosse and the order of the preseason poll is as follows: Florida (5), Vanderbilt (1), UConn, Temple, Cincinnati and ECU. Florida received five of the six first-place votes and led the conference with seven preseason All-AAC players, including six unanimous selections. No other school had more than three All-AAC nods in the poll. In addition to the seven All-Conference team selections, the Gators swept the Preseason Player of the Year awards. Lindsey Ronbeck was named Preseason Attacker of the Year, Cara Trombetta was tabbed as Preseason Defender of the Year, Sydney Pirreca earned Preseason Midfielder of the Year honors and Haley Hicklen was named Preseason Goalkeeper of the Year. Hicklen, Pirreca, Ronbeck and Trombetta were joined on the Preseason All-AAC team by Sabrina Cristodero, Grace Haus and Shannon Kavanagh. Haus (A), Hicklen (GK), Kavanagh (M), Pirreca (M), Ronbeck (A) and Trombetta (D) were all unanimous selections. The Gators are coming off a season in 2018 where they went undefeated in BIG EAST play, outscoring opponents by 94 goals in the nine games. The squad won its fourth consecutive BIG EAST regular season championship and tournament championship during the season as well. UF made its first NCAA quarterfinal since 2014, finishing the season 17-4. With the team entering the 10th season, Florida holds an overall record of 148-36 (.804) – all under head coach Amanda O’Leary. Florida, picked No. 4 in the USLacrosse Preseason rankings<https://urldefense.proofpoint.com/v2/url?u=https-3A__www.uslaxmagazine.com_college_women_bc-2Dranked-2Dno-2D1-2Din-2Dnike-2Dus-2Dlacrosse-2Ddivision-2Di-2Dwomen-25E2-2580-2599s-2Dpreseason-2Dtop-2D20&d=DwIFAg&c=pZJPUDQ3SB9JplYbifm4nt2lEVG5pWx2KikqINpWlZM&r=6MG06PG_fwpe7ULfewi6NrFR2j_4ngNZtgGHhDCeRY0&m=ow40HVDg9MgHMjQiFstwBg32s8ewUqX2K5617NY3j0Y&s=R1AVCRivihdoMtPLtjo6Sy-aoCFMuLXv30-1JgFHVF0&e=>, gets the 2019 season started on the road against Colorado on Feb. 9 in Boulder, Colo.